Description: It is the grand final of the international cheerleading competition. But a rival team led by the extreme reality TV stunt woman, Adrena Lynn, have hidden Explosive Pom Poms in a desperate attempt to cheat. 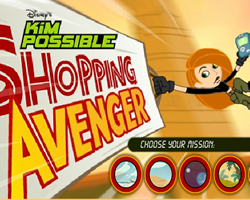 Your mission, Kim, is to find all of the Explosive Pom Poms before the competition final starts.